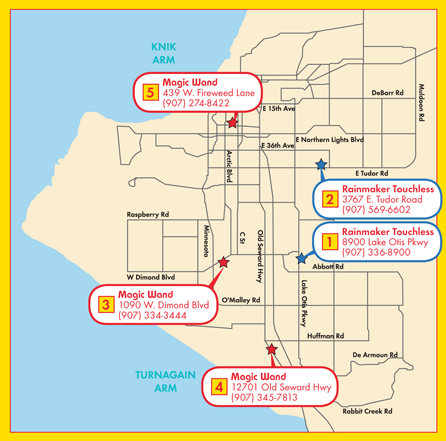 To the Rainmaker Touchless Carwash and Magic Wand Carwash family of vehicle cleaning facilities, the community's leading authority on autowash care service. Here you can join our Wash Club, purchase a washcard, learn some tips on keeping your car clean and learn more about our company and services. 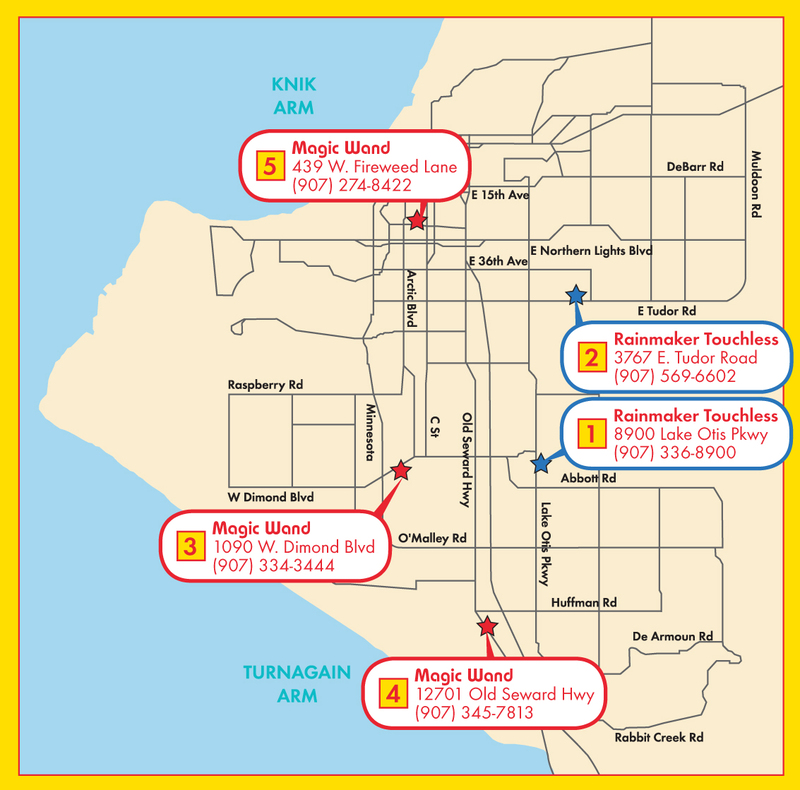 Rainmaker Touchless carwashes are open 24 hours a day, 7 days a week with no appointment necessary.